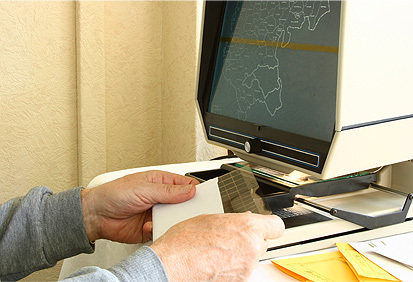 Microfiche scanning is one of the many services we offer here at Pearl Scan. Here are some of the reasons you should get your microfiche scanned today. If you read our previous blog, "Microfiche Readers Become a Thing of The Past", you will know that in today's fast moving technological society, Microfiche Readers have been lost to the scrap heap. In a similar way to the loss of the VCR, without a reader, microfiche are becoming redundant too. I'd say that is as good a reason as any to get the important microfiche you have stored away scanned and digitally stored as soon as possible. If microfiche are not stored correctly, they can be lost, damaged or stolen and if those files and documents are not backed up, they will be lost forever. By scanning and converting your microfiche to digital and storing them in a digital document management system, you will safeguard those files from any fate that would befall its hard copy. Once a microfiche has been scanned and its digital copy stored into a digital storage system, with the helpful indexing, you can save time searching through boxes of microfiche with access to your files and documents with just a quick search by title, date, name or contents. You will also save money on storage facilities as the microfiche can be destroyed once a digital system has been set up and you are happy with it. Future-proof your document storage by scanning stored microfiche to digital format with our Microfiche and Microfilm Scanning Services. We provide microfilm and microfiche scanning London, Manchester, Birminham and across the rest of the UK. Get in touch today to get a quote or for more information about how our services can help you.